A lot of new adaptations of older series, hold on to your heart! I have watched two versions of this novel before but lord, I didn’t know they have so many adaptations, dated back to 1977. Juedai Shuangjiao or Two Peerless Heroes is a wuxia novel written by Gu Long, detailing a story about a pair of twin brothers separated at birth and how they become good friends by wandering Jianghu together. However, their fate is to fight each other to the death according to one evil woman. Deep in the Realm of Conscience (深宮計) is the second installment of Beyond the Realm of Conscience, released 8 years ago, led by Charmaine Sheh and Tavia Yeung. Yes, I did watch it, being an avid fan of the leads and all but the characters were written in one extreme or the other, making it not a very stimulating watch. The second part has cast leads in Steven Ma, Annie Liu, and Nancy Wu. 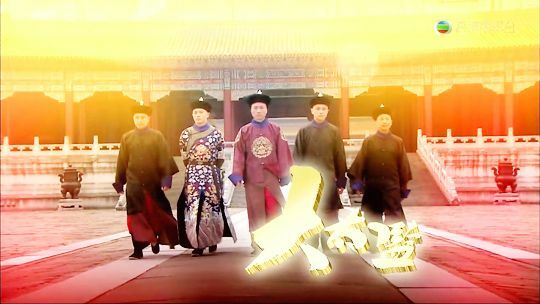 It will be set during the Tang Dynasty, ruled by Emperor Xuanzong of Tang, same as Glory of the Tang Dynasty. My neck hurts just looking at the head gears! Well, well, well. A trailer is just released on the heels of its premiere in 3 weeks! Do visit the Master list of Airing Cdramas for reference of future shows. Chronicle of Life is the drama adaptation of a novel (Lonely Courtyard in Late Spring 《寂寞空庭春欲晚》 written by Fei Wo Si Cun (Too late to say I love You). The period romance centers around the twisted love story between a young Emperor Kang Xi (Hawick Lau) and a young maiden (Zheng Shuang). Everything begins when she plays the flute in response to another tune played by the young king. Her childhood sweetheart (Vin Zhang Bin Bin), also her cousin, recognizes her playing and his face changes, leading Kang Xi to play match-maker, even though he has developed feelings for the person behind the tune. The person appointed to help notices the King’s affections and orders the maiden inside the palace to serve him. When Kang Xi is totally smitten with her, it is then that he realizes she’s his friend’s childhood sweetheart. At least this is the plot of the novel, the drama is adding amnesia into the plot too so… let’s see what we have. For two people who are still reading, this is probably my last recap for CCM, unless something awesome compels me to rave. It’s a solid show but I find the humor more funny and the scenes more meaningful if you experience it through watching instead of reading. Men are handsome in uniform. Yes, yes? So good! The fact that I inhaled the first five episodes in one sitting is telling enough. Unlike many other palace dramas, The Confidant focuses on the struggles of eunuchs – nothing too melodramatic or draggy for now, and less backstabbing and screaming from the consorts. I didn’t sense familial warmth and humor in the released trailers, but the first story arc added these two factors in seamlessly. The writer was able to turn daily routines into interesting character interactions, and before I knew it, I wanted to watch more. It’s a keeper! This one!